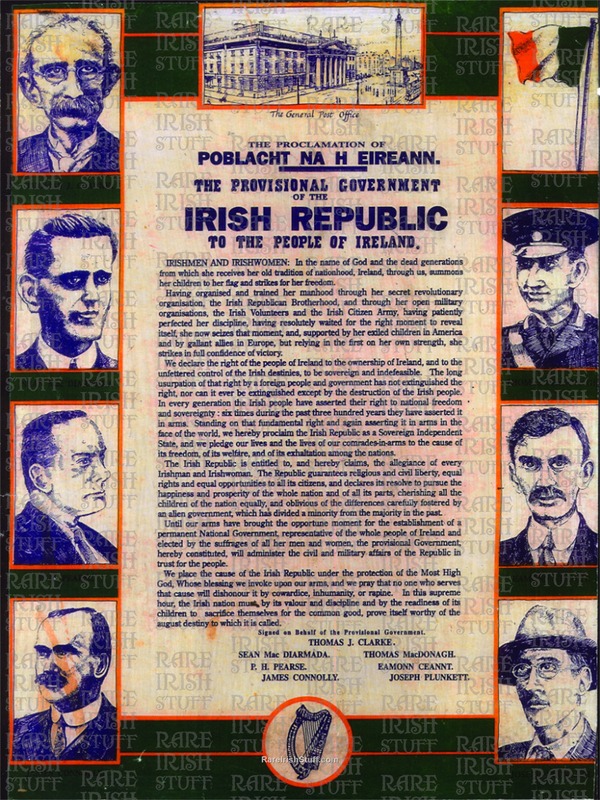 1916 Proclamation with Leaders surround. Distressed, 1960's. Features: Padraig Pearse, Éamonn Ceannt, Thomas James Clarke, James Connolly, Seán MacDiarmada, Thomas MacDonagh and Joseph Plunkett.